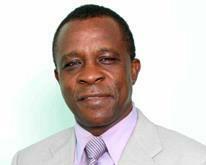 Prime Minister and Minister of Finance, Dr. Keith Mitchell presented the fiscal package to Parliament indicating that it would have recurrent revenue estimated at EC$471.1 million and recurrent expenditure of EC$487 million. He said the budget, with an overall deficit after grants totalling EC$139.4 million or 6.2% of the gross domestic product (GDP), would be financed from domestic and external sources. Mitchell told legislators that a loan authorisation bill to raise EC$140 million in financing to support implementation of the 2014 budget accompanies the fiscal presentation and that most of the external financing will be direct support for Grenada’s “Homegrown Programme”. With regard to measures for raising revenue which is integral to home grown programme, he announced that some of the initiatives will be a withholding tax of 15% on lottery winnings; a US$5 tourism marketing levy, and increasing user fees are among initiatives. Other measures aimed at raising revenue for Government will be the lowering of the income tax threshold to EC$36,000; increasing property tax, reduction on manufacturers rebate, restoration of the standard VAT on selected construction materials and the fees from the Citizenship by Investment Programme. Dr Mitchell in his than two hour speech told the packed Trade Centre that in our system of democracy, citizens pay their taxes and the Government delivers vital services to citizens. “It is a contract. No country can run without taxes. Mr. Speaker, every taxpayer must pay his or her fair share,” he said, while explaining that his Government which is presenting the second budget since winning the 19 February General Election will be using three approaches to encourage and enforce tax compliance. These will be adjustment to tax policy; stronger tax administration; and reduction of tax concessions. Elaborating on the decision to Increased Property Tax, Dr Mitchell said that Grenada has one of the lowest property tax rates in the Caribbean, and from January 2014, the property tax rates will be increased in some cases by 100%. “Land: 0.2% from 0.1%; Building: 0.3% from 0.15%; Agricultural lands which remain idle will attract a rate of 0.2% instead of 0%. It should be noted that the exemption of the first $100,000 on your building value will be maintained. Owners of very small parcels of land worth less than $20,000 will now pay a minimum tax of $40 instead of $20. Owners of land and buildings worth less than $100,000, where the exemption applies, will now pay $60 instead of $30,” he said. “Government has not increased the property tax rates for commercial and industrial purposes. This decision has been taken in recognition of the difficulties that the business community has experienced in recent years and Government’s strong desire to spur job creation,” he said as he pointed out that with this rate adjustment, Government expects to collect an additional $8 million in property tax next year. With regard to the Tourism Marketing Levy, the Finance Minister said that the Government and the tourism industry both agree on the urgent need to increase the marketing of Grenada, as a destination of choice. “In this regard, Government will introduce a Tourism Marketing Levy of US$5 per night for each stay-over visitor. The funds collected from this Levy will be used exclusively for marketing Grenada and will be collected by Government and channeled to the Grenada Tourism Authority for the sole purpose of marketing Grenada,” he told the audience which reflected a wide cross section from the business community. $2 million is expected from Withholding Tax on Lottery Winnings from a 15% withholding tax, and by registering and licensing slot machines and games of chance. While no project amount was given for Increased User Fees, he said that there are some user fees and licenses that have not been revised for several years, and as a general principle, Government will revise fees to better reflect the cost of these services. “In this regard, umbrella legislation will be taken early in the new year to adjust fees for selected services,” he said. However, parliament recently approved for increased a number fees relating to the traffic regulations and for yacht passengers boarding yachts from Grenada.